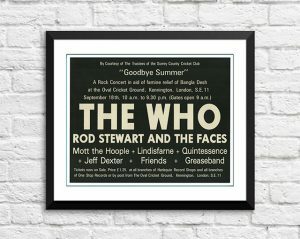 Classic Mott The Hoople Band Concert Posters and Memorabilia! Buy Online Now! Mott the Hoople were one of the great also-rans in the history of rock & roll. Though Mott scored a number of album rock hits in the early ’70s, the band never quite broke through into the mainstream. Nevertheless, their nasty fusion of heavy metal, glam rock, and Bob Dylan‘s sneering hipster cynicism provided the groundwork for many British punk bands, most notably the Clash. At the center of Mott the Hoople was lead vocalist/pianist Ian Hunter, a late addition to the band who developed into its focal point as his songwriting acumen grew. Hunter was able to subvert rock & roll conventions with his lyrics, and the band — led by guitarist Mick Ralphs — had a tough, muscular sound that kept the group firmly in hard rock territory, even when flirting with homosexual imagery and glammy makeup. However, their lack of success meant that they inevitably splintered apart in the ’70s, with Ralphs forming Bad Company and Hunter launching a cult solo career. 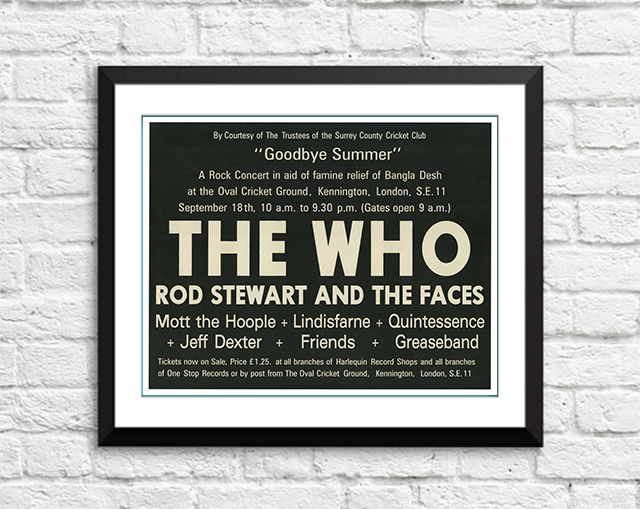 We stock some awesome Mott The Hoople Band Concert Posters.